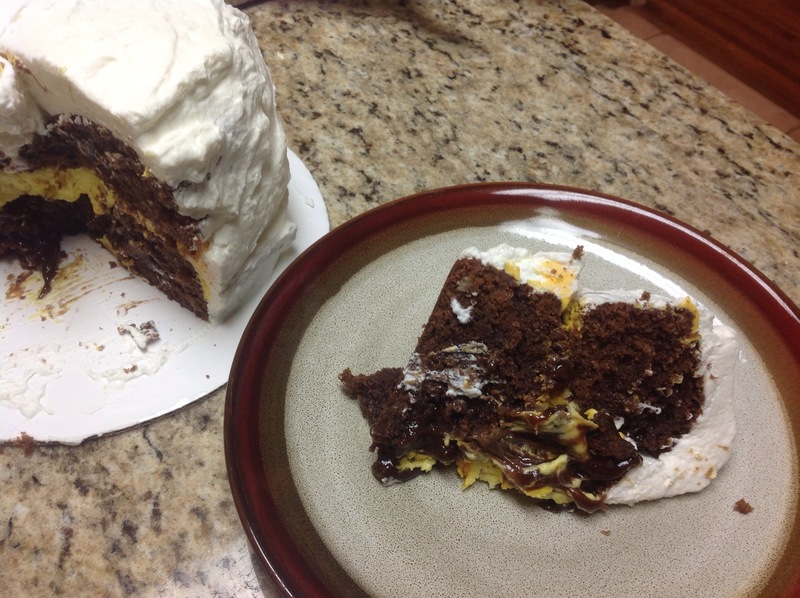 I was craving chocolate, but I also wanted to do a cake of some sort since I had the icing I made yesterday. 2. Grease two 6″ round pans and and set aside. 2. Melt the butter and let it cool for 5 minutes. 3. In an electric mixer place the melted butter and add each ingredient in the order listed and mix until well incorporated. 4. Pour the mixture into greased pans. Note: check for firmness after 25 minutes. You may use your favorite icing or whipped cream between the layers to complete the cake. Is it made for one person,or two? You can easily divide the cake in 4 slices. It’s a 6 inch cake so definitely more than 4 people can indulge. But with this cake maybe less people. It’s that good! I could too. So tempting. I almost had it for lunch. But I’m ttying to be good.